Mr Fadnavis was addressing a gathering here, organised to declare urban Maharashtra Open Defecation Free (ODF). 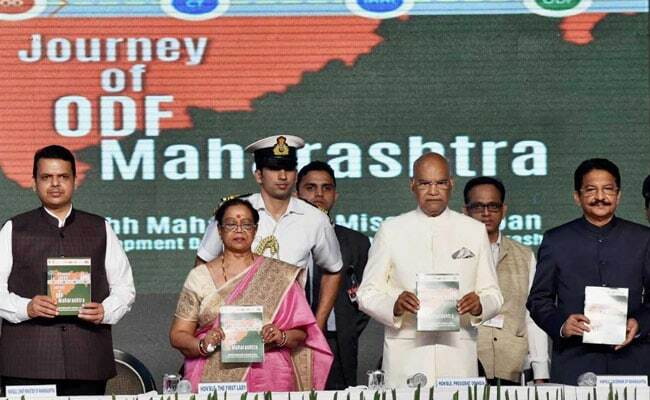 Mumbai: Maharashtra Chief Minister Devendra Fadnavis today said that the government has instilled a mechanism called 'Open Defecation Free (ODF) Watch', where people will be "shamed" if they defecate in the open. "Declaration of urban Maharashtra Open Defecation Free is not just a formality. A three tier validation process had been adopted where the cities, which became ODF were first inspected by the local administration, then by the state government and lastly a central agency gave its nod," Mr Fadnavis said. He added that making the state ODF will not achieve its objectives until the mind-set of people changes. "Now we have a double responsibility at hand. We have to encourage people to use the record number of toilets created in the last two years," he said. "We have instilled a mechanism called 'ODF Watch' where people will be forced, encouraged to use a toilet. If they defecate in the open, a whistle will be blown and people will be shamed for not using a toilet," he said. He said the mechanism will work from morning until the dusk for the next six months, to ensure people use a toilet. Mr Fadnavis added a record number of 40 lakh toilets have been constructed in the state in the last two years. The Chief Minister said by March next year, rural Maharashtra too will be declared ODF. He said the government will also focus on segregation of waste scientifically and treat sewage water. "We have formed a brand by the name 'Mahacity compost', where the compost from city waste is marketed among farmers. This provides good quality compost manure. Only if the quality of compost is good, does it get sold under the brand," Mr Fadnavis said. Maharashtra Rural Development Minister Pankaja Munde, who was also present on the occasion, said when the present government took over, the state had 44 per cent toilets and the number has now gone up to 88 per cent. She exuded confidence that the percentage of toilets in the state will go up to 100 per cent soon. "We want people to use the toilets, not just construct them. We have made the children pledge for cleanliness in district and rural schools," she said. Ms Munde added that her department is working on a 'zero pendency policy', where there is no clogging of files due to bureaucratic delays.